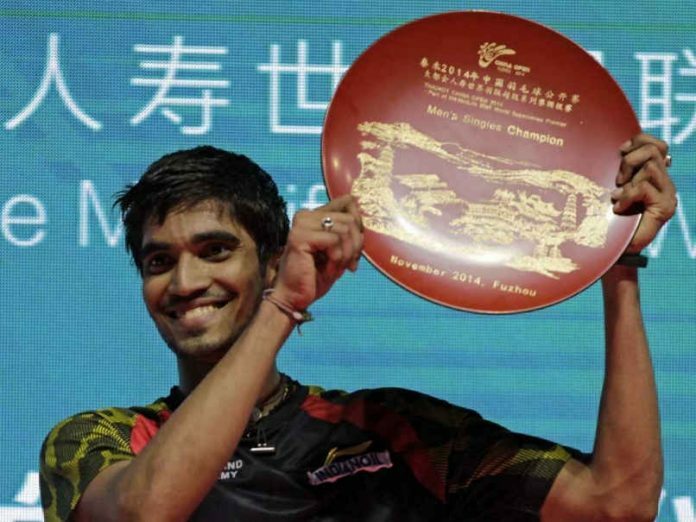 New Delhi (PTI) The Badminton Association of India (BAI) today announced a cash award of Rs 5 lakh to Kidambi Srikanth for clinching the Australian Open Super Series title in Sydney today. The 24-year-old Srikanth extended his stellar run of form to become the first Indian male shuttler to win two consecutive Superseries title. Celebrating the historic moment, BAI president Himanta Biswa Sarma has announced a bounty for the shuttler, who not only won his fourth superseries title but also also became the only sixth badminton player in the world to make it to three consecutive superseries finals on the trot. In the finals, he was up against the current Olympic champion Chen Long of China and the Gunter lad was at his supreme best against the World No. 6, winning the match 22-20, 21-16 in a rather comfortable manner. Sarma was delighted at Srikanth’s feat and congratulated him after his amazing win. “We are really very proud of Srikanth for his achievements. It is simply phenomenal.He has not only made the whole country proud once again but has etched his name among the best and no word would enough to praise Srikanth,” Sarma said. Reiterating the president’s views, BAI secretary general Anup Narang added, “It is indeed a very huge achievement for Srikanth and Indian badminton. The entire BAI is in a jubilant mood and I am sure so is the badminton fans across the country.” Apart from Srikanth, the performance of other Indian players at the Australian Open Superseries were also impressive as Sai Praneeth, P V Sindhu and Saina Nehwal all made it to the quarterfinals of the tournament. 21-16 in a rather comfortable manner. The Badminton Association of India (BAI) today announced a cash award of Rs 5 lakh to Kidambi Srikanth for clinching the Australian Open Super Series title in Sydney today.